This kids' hat adds warmth to cold days at the park or cool nights around the campfire. It's made of soft, stretchy knit with the same classic design as our grown-up version. the patch has started to unsow on the first day wearing it, too bad because it's darn cute on my 2 yo!!! Perfect hat for my oldest son, for an outside loving little man. Great durability and super warm for our cold Quebec winters. Love Love Love this hat for the Baby. Perfect fit. Does not slide off. Covers those ears. Perfect Perfect! I ordered 3 of these hats. Guess I will order 3 more. 15 months old, stretches to fit will definitely last her a couple years absolutely love! We appreciate your feedback and are sorry to hear this. Please contact us at 1 800 833 3118 if you need any assistance. These are gifts for a bunch of kids in South Dakota. I haven't sent them yet, so don't know how they fit, but I ordered them because I love my Carhart hats.... all 5 or 6 of them. I especially like the fact that these are made here. Good products make by fellow workers in the good ol' US of A. I wish all of your products were made here. If all of the Carhart shirts, jackets, coats, and pants that I own, heck I even have Carhart socks...if all of them were made here, I'd be an even happier camper. I bought one for both of my daughters. They are picky and usually don't like wearing hats. They both love these hats though. They're warm. They come in a variety of colors. I recommend them. This is the perfect hat for an active 2yo. My son loves to wear it and it stays very well on his head. Doesnt stretch out or loose its shape! Ended up buying one to match in my size. Great for kids and washes well! Love this hat on my 4 year old and even after a little dirt it washed clean as new. Got the hot pink hat for my 1 year old daughter and she looked super cute in it. It is comfy and easy to put on, great quality. I love these little beanies. I purchased one for my daughter, to match my own. She actually keeps it on and it keeps her ears warm. I bought as a gift. Never seen gift in person. The person I bought it for loves it. Trendy, warm, classic knit hat. You just can't go wrong with these for winter. This hat was so cute and kept the baby girl nice and toasty. 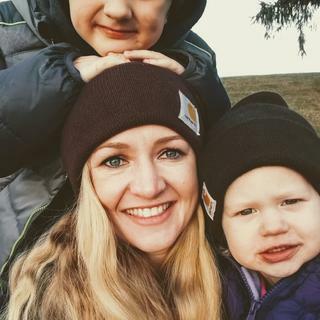 I got our family each a carhartt watch hat, and boy do we love them! I was on the fence on which size to get my 2.5 year old daughter, but decided on the youth size and am glad I did! I know she'll have this hat for years to come. My son is 6.5 and the youth size also fits him nicely! We got the mustang brown and carhartt brown for their colors to give complementary looks without being in your face matching. Pictured, I am wearing the deep wine color in the womens size. Hope this helps! 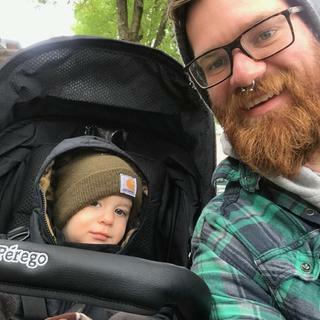 My son loves how he looks just like daddy. Nice and warm, stylish. Im a teen and this fits me better than the adult ones since they are a bit smaller! My son loves this hat! He is 3 years old and he says this is the only hat that does not feel super itchy when he wears it. This is his go to when going outdoors to play on cold days. Best quality hat for the kiddos. Lasts several seasons and fits great. Warm, cozy, nice color and it will fit for awhile thanks to the adjustable cuff and a great price tag too!!! We appreciate your kind words and are happy to hear that you are pleased with this item. We love to see our little fans wearing our products, so adorable! Thank you for choosing Carhartt. So glad I picked this up! Definitely worth the price and totally adorable on my grandsons head! Carhartt for girls is the BEST !! 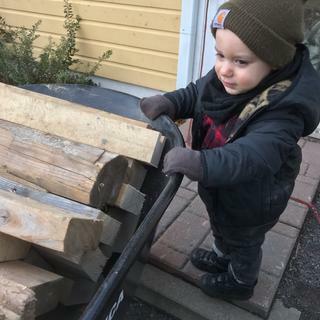 My gandson is the envy of all at his day care with his snappy and durable Carhartt wardrobe. Given that, I was thrilled to discover the GIRLS section when his baby sister arrived. I made several purchases, the first being this hat. Too large, for now but she will be a real hat girl and will need this to manage the Canadian winters. Very durable and warm. I have two boys that are not easy on things. We bought a few of these hats for them thinking they would wear out but they are still like new after months of use during winter months in OR. I recommend this product 100% and this is not a paid review, just a satisfied father. And thick and he loves wearing it! Will definitely buy again! Fits Great! My son loves it and it will keep his ears covered. Some colors do not have dates for when they will be back in stock. Are those colors discontinued now? BEST ANSWER: Please contact us at 1 800 833 3118 if you need further assistance. BEST ANSWER: A toddler sized acrylic watch hat is about 2" smaller in crown width, 1" smaller in crown length, and 1" smaller in knit cuff fold height versus the youth version. When will the N19-Peacoat (navy) color be back in stock? BEST ANSWER: We will have more stock by the end of this week. WHEN WILL THE INFANT/TODDLER BEANIES BE RESTOCKED? BEST ANSWER: Please feel free to contact us so that we can check the restock date. You can reach us at 800-833-3118 Monday-Friday from 8am-9pm EST and Saturdays 9am-5pm EST. 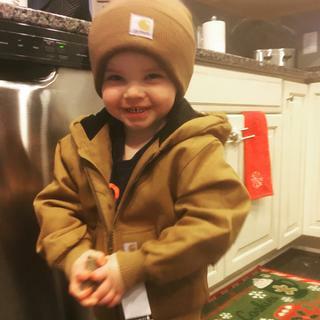 When will the carhartt brown for toddlers be back in stock? When will the OFA Youth Black be back in stock? BEST ANSWER: We expect more kidswear within the next week or so. 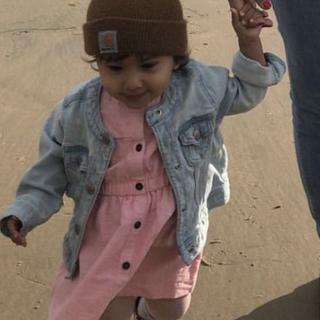 when will toddler beanies re-stock? BEST ANSWER: We will not be getting any more until the Fall 2018 line is released. We suggest checking our site around July or August. 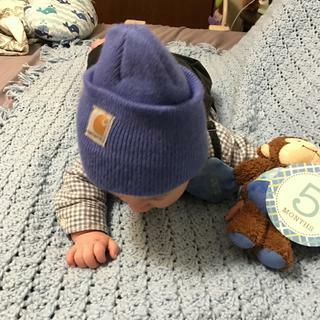 When will the infant/toddler beanies be restocked in black/brown/and the mustang brown? BEST ANSWER: We do not expect more stock in this style until the Fall 2018 season. What size for 5yr old? BEST ANSWER: The diameter for the Youth size is 7.5 inches and 5.5 inches for a toddler. BEST ANSWER: ARB is Amparo Blue. I bought the toddler size and my grandson has been wearing it all winter. He is now 10 months. It is the one hat that he keeps on! Would the toddler size fit a new born boy? BEST ANSWER: The toddler size is recommended for a head measurement of 20". The toddler size is a little big on a newborn but still wearable for most. I bought one for my baby cousin who was 8 lbs when he was born and i fit him fine. No it will be too big - this toddler size fits our 3 1/2 year old perfect. 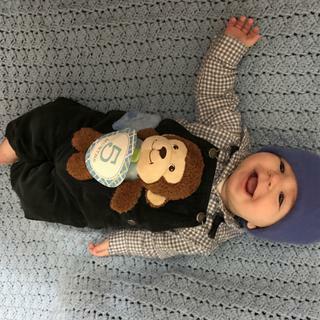 I'm looking for a hat that would fit a baby. He's currently only a month old. Would the toddler size be too big? BEST ANSWER: There is a great chance it will fit, depending on the size of the baby's head. This hat is flexible and the diameter for the Toddler size is 5.5 inches. Yes, it'd be way too big! I ended up returning the one I bought because it was so huge! Yes, it would be too big. At one time they made infant sized ones. So I am 18 years old but have a really small head. Would the youth sized hats fit me? BEST ANSWER: The diameter for the Youth size is 7.5 inches. The length of the hat from the fold to the top of the hat measures 9.5 inches for the Youth size. I have a 3 year boy . What size will he need toddler or youth ? BEST ANSWER: a toddler size fits my 2 year old just perfectly, i would buy a youth. at least he'll be able to use it for a little while longer that way. hope this helps! A youth is fine I think. My son was 3 when I got him the youth size. I have a 3 year old what size will I need toddler or youth ? BEST ANSWER: The diameter for the Toddler size is 5.5 inches and 7.5 inches for the Youth size. The length of the hat from the fold to the top of the hat measures 7 15/32 inches for the Toddler size and 9.5 inches for the Youth size. My granddaughter is 6 month old - Assuming I would purchase a toddler hat but what does OFA for the size? BEST ANSWER: OFA means One Size Fits All. We would recommend a Toddler size, please note that this hat stretches and will fit your granddaughter as she grows. What are the dimensions for this? Preferably the diameter of the opening and the height of the beanie.